You may not know this or value it enough, but your Kidney is one of the most important organs in your body and neglecting it endangers your health. Your kidney filters your blood, produces hormones, absorbs minerals, produces urine, eliminates toxins, and neutralizes acids. It is for this reason that you must really take care of your kidneys and avoid any harm to them. Not Drinking Enough Water: When you don’t drink enough water daily, your toxins and waste material start to accumulate and can cause severe damage to your body, as your kidneys need the water in order to filter blood and eliminate toxins and waste materials. Consuming too much Salt: Ingesting too much salt can raise your blood pressure and put a lot of stress on the kidneys so keep your daily intake low. Delaying your need to go to the washroom: This is without a doubt very problematic to the Kidney and although you may feel that you simply have no time or you need to get things done before taking that quick break, it is a bigger problem than you know, especially if it is on a regular basis as retaining urine increases urine pressure and can lead to kidney failure, kidney stones, and incontinence. Once in a while is okay, but making it a habit is a no go. Consuming too much Sugar can be very unhealthy for you: Consuming high sugars during the day causes you to have protein in your urine and having protein in your urine is an early sign your kidneys are not doing their job as they should. Not Consuming enough Vitamins and Minerals: This is crucial for a healthy body and any deficiency in your daily diet can increase the risk of kidney stones or kidney failure. Over-consumption of Animal Protein is a thing: Red meat, especially, can increase the metabolic load on your kidneys which makes your kidneys work much harder and finally lead to a dysfunction. Sleep deprivation is a big No No: Constant sleep deprivation is linked to many diseases including Kidney. During the night your body repairs damaged kidney tissue and depriving it from sleep only defeats that purpose. Too much Caffeine is damaging to your body: Caffeine can raise blood pressure and put extra stress on your kidneys. Excessive use of painkiller: Abuse painkillers can lead to severe damage of liver and kidneys, and many tend to use painkillers for the most minor of pains as habits appear, but that is simply damaging your organs. Natural remedies should be considered before painkillers. Alcohol over-consumption: Just as the Liver can’t handle too much alcohol, alcohol is actually a toxin that puts a lot of stress on our kidneys too and causes its own damages. So, point to be taken here is that there always needs to be a healthy balance to your diet, including all the necessary nutrients and consuming everything within healthy portions, including Staying ACTIVE, which should never be forgotten! Stay wary of your body and mind, Keep a healthy Balance and stay Safe! Enjoy life with a Heavy Touch of Health and Care! TORONTO – A new study says smoking, alcohol, poor diet, lack of physical activity and stress finds are costing Ontarians more than seven years of their lives (Huffington Post, April 2, 2012). People nowadays do not take their health seriously, more importantly; do not take seriously the consequences of bad habits. Smoking! This habit is so vastly expanding; even children are smoking these days. You walk down the street and you see children smoking in a group, children of about 12 years. What is happening to this world? The consequences are there, there is awareness about them, yet no one takes them seriously. Cigarette packs show picture of dark lungs, and a heart that is dark, yet no one budges. I won’t even start on alcohol; all that Canadians seem to be doing for fun is drink. Alcohol is present in get-togethers, in family occasions, in parties, everywhere. No limits! These teenagers and young adults are drinking day in day out, without caring of what it may do to their lungs. Another essential issue is poor diet, which many of us do not hold to heart. Fast food is everywhere these days and no one cares or questions what is inside the food they are being served. 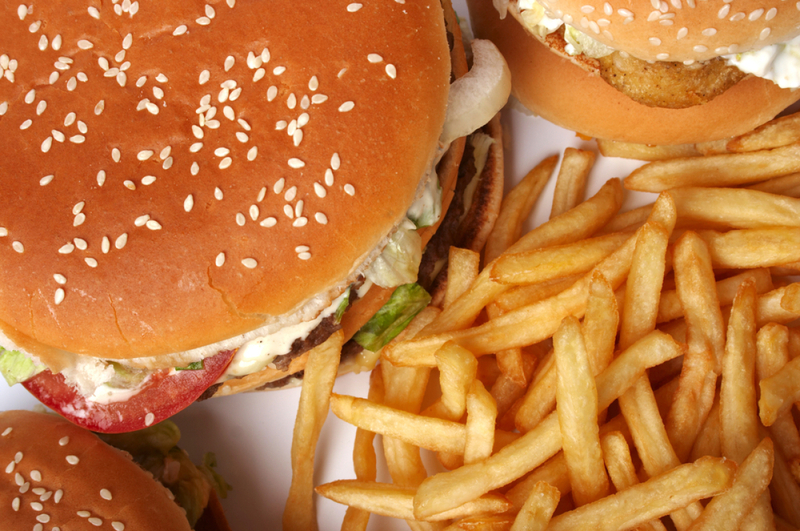 I can show many documents defining how nasty certain foods are, yet in North America, fast food is so widely abused. Physical activities and stress I believe intertwine. Many people get lazy and do not take the initiative to become active, knowing that physical activity keeps someone alive and healthier. This, in turn, associated with stress as physical health relieves stress. It is true that many of us cannot control stress, because it is in our work, in our school, in our lives in general, however the way you deal with stress is of big importance. Some deal by reliving the harmful cycle, i.e. through smoking, drinking, eating bad, and more negative coping mechanisms. I write this blog, not to simply repeat what you already know, but to stress on you to take control of your life by diminishing the negative habits and initiating new positive habits that will benefit you and your health. Keep you living longer, and happier.